I might have been the only mother in the world who just wanted a couple of hours alone on Mother’s Day. My husband took my boys to the playground for an hour or so, and I miraculously created this tiny painting. There’s a Member’s show coming up, and I desperately wanted something new to enter into it. 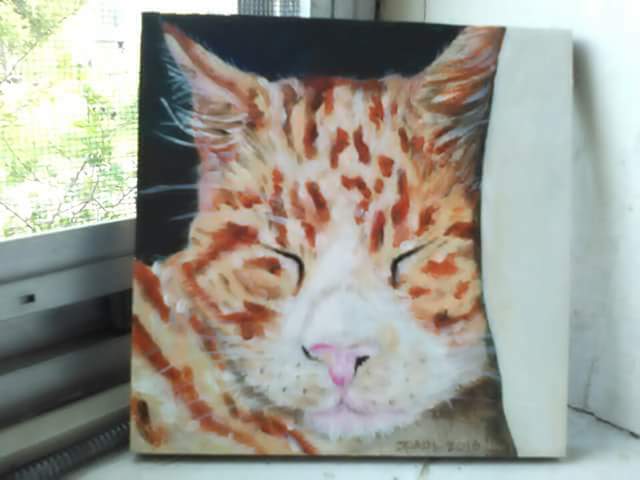 So here is Cat Nap, acrylics on Masonite, 4.5″ x 4.5″. I have to finish up the edges, and maybe fix the ear that bugs me, but only if time allows. I will say, an hour alone with the radio and some paints certainly fixed my mood!